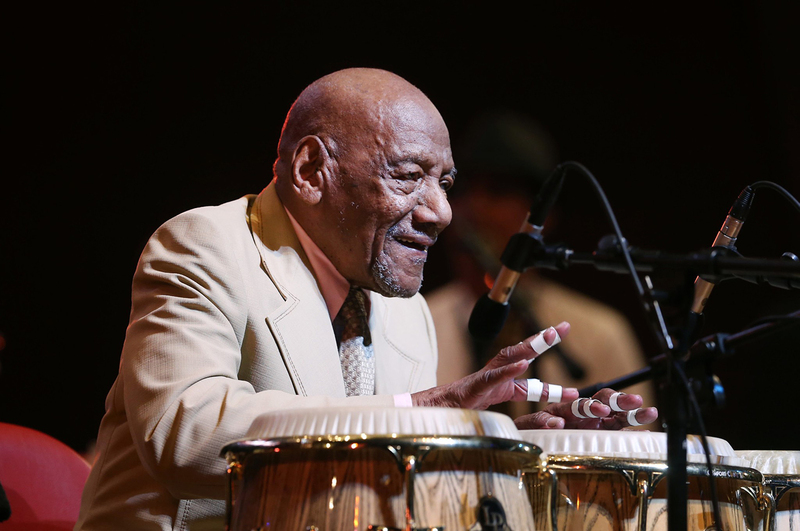 Clinician Biographical Information Cándido de Guerra Camero, also known simply as Candido (born April 22, 1921) is a Cuban born percussionist (mainly conga and bongo). In the 1940’s, Candido was recording with legendary Cuban bandleader Machito and working Havana's fabled Tropicana nightclub. After coming to the United States in the 1950s, Camero collaborated with a prime architect of Afro-Cuban jazz, trumpeter Dizzy Gillespie, and provided pulsing rhythms for Charlie Parker, Dinah Washington, Stan Kenton, Lena Horne, Coleman Hawkins, Sonny Rollins, Tony Bennett and many others. Candido also enjoyed success during the disco era of the 1970s, most notably with the Babatunde Olatunji penned track "Jingo" from his Dancin' and Prancin' album, which he recorded for Salsoul Records in 1979. The album has also been acknowledged as an influence and precursor to house music, predating the emergence of the genre by over 5 years. ?Camero was honored with the National Endowment for the Arts Jazz Masters Award in 2008. ?